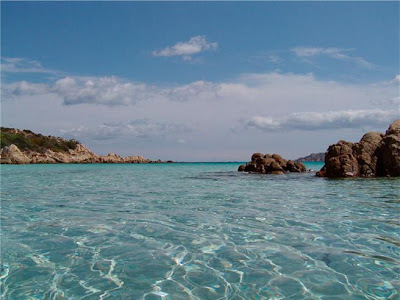 Sea-God Porto Rotondo Limited Edition was inspired by the beautiful Marina of Porto Rotondo in Sardinia, Italy. The watch is limited to 499 pieces with each piece numbered and distinguished by the combination of a blacked out dial contrasted with bright, luminescent numbers. The Porto Rotondo dial and indices are designed to stand out in all light conditions. The watch is powered by the trusty automatic ETA 2824-2 movement. The trident tips on the hands hark back to the main inspiration for the brand, that of the sea and Poseidon. There is just one small splash of colour on the dial; the red Porto Rotondo signature which adds an elegant touch. The crown has been designed with a special locking system that allows the trident to remain upright even when it is completely screwed down. The case is made from toughened 316L stainless steel with a DLC coating. The bezel is made from lightweight Titanium bezel grade 5. The watch comes on a rubber strap with reinforced loops playing, made for long term wear and comfort, and the buckle once again echoes the Trident theme. On the caseback, the trident is engraved and the case sealed with 12 titanium screws featuring the stylised waves of the Sea-God logo, hallmark attention to detail with guaranteed water resistance to 300 metres. The Porto Rotondo Limited Edition is available in a GMT version where the 24-hour hand is characterised by a red signature that invokes the name of Portorotondo on the dial. For this model the movement is: ETA 2893-2. The watch comes in an elegant box, with a passport that guarantees its authenticity, and a warranty of 2 years. 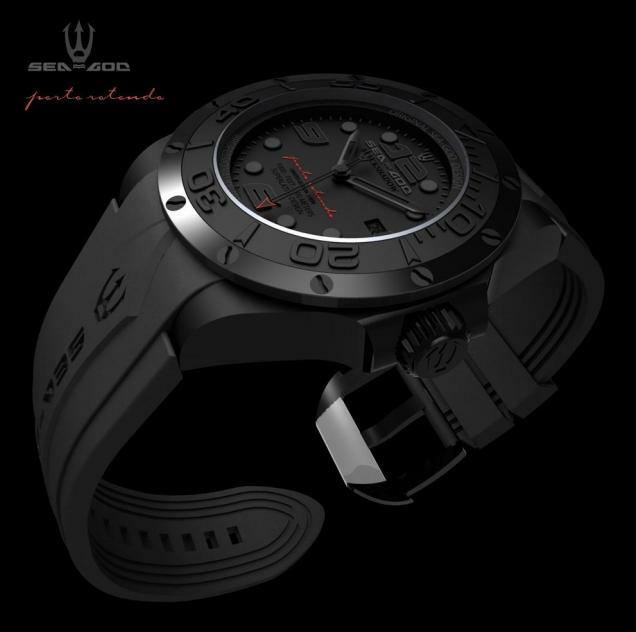 Montres Sea-God is the vision of Enzo Palazzolo, a perfectionist who since the eighties has pursued a passion for fine Swiss watchmaking coupled with Italian design with an unmistakeable flavour of the sea.